Regional leaders in the Delaware Valley began discussing the idea of building a bridge that would span the Delaware River and connect Philadelphia and Camden as far back as the early 1800s. Their vision took nearly a century to realize, but finally, in 1912 and 1917, the New Jersey and Pennsylvania legislatures created a pair of commissions for the purpose of jointly building, operating, and owning a single toll bridge. 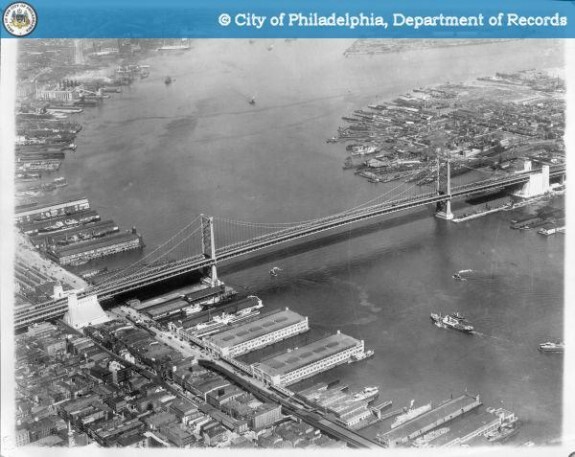 Construction on what would briefly become the world’s longest suspension bridge started in 1922, and in 1926 the Delaware River Bridge--renamed the Benjamin Franklin Bridge in 1956--was opened to traffic. 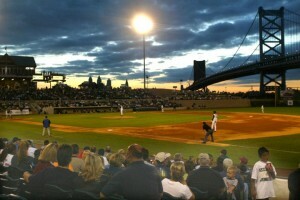 The DRPA's economic development projects on the New Jersey waterfront have included the Campbell's Field ball park, pictured here, aquarium expansion, and a new DRPA headquarters building. 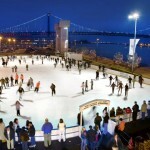 The foundations for an aerial tram, visible in this photograph between the skating rink and the Benjamin Franklin Bridge, were poured in 2000 at a cost of $10 million, but remained uncompleted for more than a decade. 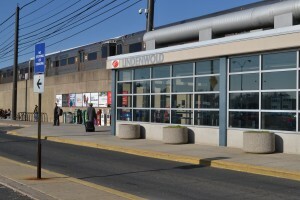 The tram is one example of the DRPA’s mixed record of success with economic development projects. 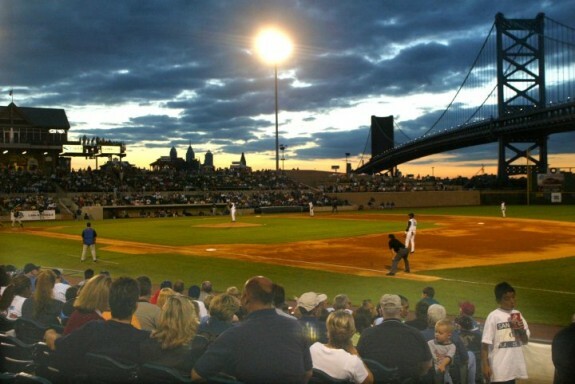 The DRPA claimed that the tram would support its larger mission by drawing tourists to attractions on a two-sided riverfront destination while increasing bridge and PATCO use and revenues. 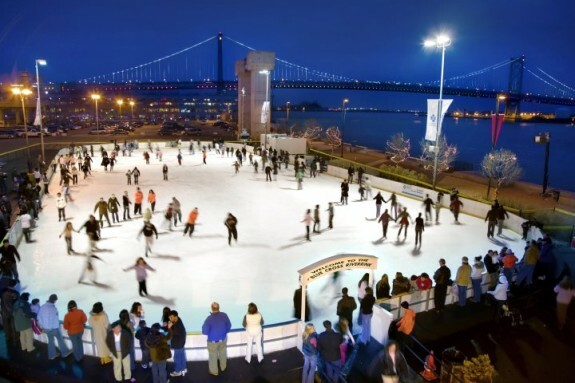 Critics, on the other hand, challenged the overall premise, arguing that the DRPA had completed no actual studies that supported their economic assumptions while others saw the project as an ill-conceived bauble that would blight views of the Benjamin Franklin Bridge. The Delaware River Port Authority (DRPA) was created nearly one hundred years ago as a bi-state commission for the purpose of building a single toll bridge. By the 1930s regional leaders had started to envision a larger maritime role for their new agency, but efforts to broaden its powers to include port operations were repeatedly thwarted. The DRPA continued to grow into a major regional transportation agency, making major investments in infrastructure and gaining significant expertise in bridge and commuter rail operations. A 1992 compact amendment gave the DRPA two important new mandates–port unification and economic development–but despite the best intentions of policy makers, the implementation of both mandates proved to be difficult. The agency plunged confidently into economic development with mixed and sometimes controversial results, while the goal of a unified port proved to be a reach too far. Regional leaders in the Delaware Valley began discussing the idea of building a bridge that would span the Delaware River and connect Philadelphia and Camden as far back as the early 1800s. Their vision took nearly a century to realize, but finally, in 1912 and 1917, the New Jersey and Pennsylvania legislatures created a pair of commissions for the purpose of jointly building, operating, and owning a single toll bridge. 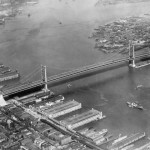 Construction on what would briefly become the world’s longest suspension bridge started in 1922, and in 1926 the Delaware River Bridge–renamed the Benjamin Franklin Bridge in 1956–was opened to traffic. The 1931 creation of the Delaware River Joint Commission formalized the agreement between the two states while expanding the scope of operations of their new agency. 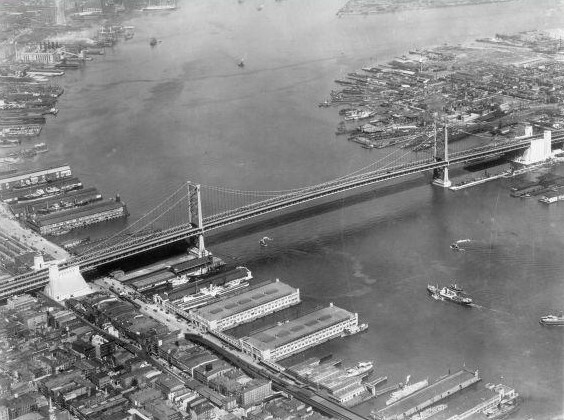 The commission would now be responsible for planning and providing future bridges and passenger rail service across the river and for promoting passenger and freight commerce on the Delaware River, as “a highway of commerce between Philadelphia and Camden and the sea.” With this last duty, legislators intended to give their new bi-state agency the responsibility for unifying the region’s fragmented system of ports. Five times between 1931 and 1952, legislators amended the commission’s enabling act in efforts to expand its duties to include port operations. The draft legislation for each amendment granted the commission the power to acquire, build, own, and operate maritime cargo facilities, but every time powerful private interests successfully lobbied to curtail these powers and weaken the final legislation. In 1935 the United States government, through an act of congress, recognized the agreement between the states as a federal “compact,” and the 1952 compact amendment optimistically re-christened the organization the “Delaware River Port Authority.” As with previous amendments, however, the power to acquire port facilities was stripped from the final legislation. 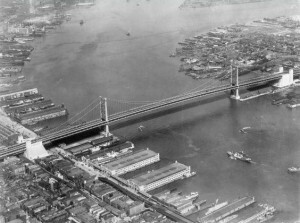 Following the 1952 compact amendment, planning for bridges and commuter rail continued, and in 1955 the Walt Whitman Bridge opened to the south of the Ben Franklin Bridge. 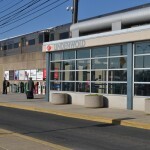 The Port Authority Transit Corporation or “PATCO Speedline” trains began to operate in 1969, providing a commuter rail line running from the southern New Jersey suburbs across the Benjamin Franklin Bridge and into Center City Philadelphia. The Commodore Barry Bridge opened in 1974, south of the Walt Whitman Bridge, and a final bridge, the Betsy Ross, opened in 1976, to the north of the Benjamin Franklin Bridge. In 1992, the compact was amended one more time, finally making port unification a true mandate of the DRPA by granting it the power to acquire the two state-chartered port agencies on the Delaware River–the Philadelphia Regional Port Authority and the South Jersey Port Corporation. But over the next several years, entrenched interests at the two public port authorities succeeded in blocking the DRPA’s acquisition plans, and by 1998 port reunification was dead. The 1992 amendment, however, also granted the DRPA the power to engage in “economic development,” broadly defined. After the failure of port reunification, this power–which was added as an afterthought–became central to the DRPA’s mission. By 2013, nearly a century after its creation, the DRPA was still a port authority in name only. Maritime operations include a seasonal cruise terminal, a small multimodal cargo yard, and a ferry service, but otherwise the DRPA remained almost entirely a bridge and commuter rail operation. Together, the four toll bridges and the PATCO Speedline served as an integrated transportation system that carried workers from the New Jersey suburbs to their jobs in Philadelphia in the morning and back to their homes at night. In 2010, the DRPA earned $275 million in operating income and incurred expenses of $202 million for a net operating income of $73 million. More important, a full ninety percent of operating income came from bridge tolls. 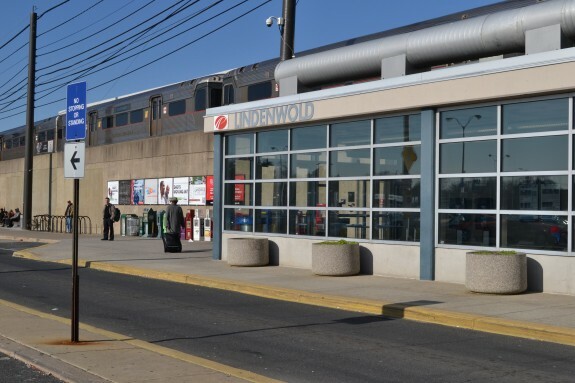 An additional nine percent came from PATCO fares, while maritime operations accounted for a scant one-tenth of one percent of operating income. Like most governments, the DRPA effectively operates as a monopoly, so its bridge tolls are both a large and dependable revenue source and its bonds are a low-risk investment, together giving the agency enormous borrowing power. In 2010 the DRPA had about $1.4 billion in outstanding debt, backed primarily by future toll revenues. 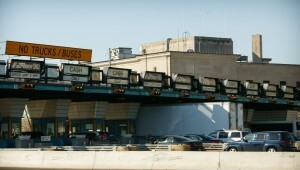 More important, periodic toll increases had a big effect on the agency’s borrowing capacity and the unique institutional character of the DRPA as a bi-state public authority influenced the allocation of funds that flowed from these increases. Unlike a municipality that provides a wide variety of tax-funded services and facilities, the DRPA has operated as a “public authority,” a specific type of government created by legislators to provide a single service or facility, such as a highway, airport, maritime cargo port, or bridge. Authorities typically pay for these facilities with proceeds from the sale of “revenue bonds” that are backed by future rents, tolls, or other charges that will be paid by the people who use the facility. Because authorities typically do not rely on tax revenues, they can skirt public review of their projects, unlike municipalities that must seek voter approval of bonding bills to avoid claims of taxation without representation. Authorities are governed by appointed boards or commissions rather than by elected officials so their leadership typically is less sensitive to political pressures. Together, appointed leadership and the lack of a need to seek voter approval for projects makes authorities more politically insulated than other units of government. But the DRPA is not just any authority; rather, in 2013 it was one of only three in the United States that enjoyed a “bi-state” jurisdiction, with a service area of 5,840 square miles that included five counties in southeastern Pennsylvania and eight counties in southern New Jersey. A commission of sixteen leads the DRPA, eight commissioners from each state, all but two appointed by the two governors. This division of the commission into two equal delegations ensures an unusual level of internal stability but it also virtually guarantees ongoing stress between the two delegations that stems from their different views of the DRPA’s purpose and duties. These differences of opinion reflect the contrasting geographies and constituencies that the two delegations represent: suburban New Jersey bedroom communities filled with workers interested in a cheap commute to the city, and densely developed Philadelphia, whose politicians have long thought that low tolls and fares promote the flight of businesses and residents to the suburbs. Prior to commission meetings, the two delegations meet separately, in closed “executive” session, where they conduct most of their business out of the public’s eye. Thus the public meetings of the full commission usually lack controversy or meaningful debate and serve instead as perfunctory events where agreements hashed out in private are merely finalized in public. The same process has typically been used to make spending decisions. Because the governors of the two states are term-limited and gubernatorial politics are central to raising tolls and fares, the DRPA usually does so only every eight years. But this puts stress on the agency’s operating budget because revenues remain flat year over year while annual operating costs continue to increase because of inflation. More important, new debt cannot be issued until there is a new source of future revenues to back it. When tolls do go up, however, the impact on borrowing can be huge. As a rule of thumb, each of the four times between 1992 and 2012 that the DRPA raised tolls on its four bridges by one dollar, the agency’s bonding capacity–the amount it could borrow–rose by about a half billion dollars. That meant that the commission’s next job was to decide how and where to spend about $500 million dollars on economic development projects. The method was simple. The two delegations agreed to split the funds equally, half going to either side of the river. Then each delegation proposed a list of projects and values that added up to half the total amount of funds and the commission voted and approved all of the projects. Between 1992 and 2001 alone the DRPA’s debt grew by five times, from $250 million to $1.4 billion. During this period approximately $443 million in toll-backed proceeds from the sale of “Port Project Development Bonds” (PPDBs) were invested in economic development projects worth a total of $4.4 billion. Some of these funds were spent on job creation projects, including location subsidies to lure private shipbuilder Kvaerner to the Philadelphia Naval Shipyard after it closed in 1995, patents for “FastShip” technology, and a charter school and expansion projects for several private manufacturing companies in Camden. Other funds were spent on waterfront redevelopment projects on both sides of the river including a ballpark, aquarium expansion, and a new DRPA headquarters building on the New Jersey riverfront; a new performing arts center, a new museum to the U.S. Constitution, improvements to a science museum, and an aborted riverfront entertainment center on the Philadelphia side; and an aerial tram connecting the two cities across the river that remained uncompleted over a decade after its foundations were poured in 2000 at a cost of $10 million. Another example is the DRPA’s $50 million contribution–and one of its largest grants–to the nearly half billion dollars in government subsidies to Kvaerner. Despite being politically popular with democrats and labor unions in Philadelphia, Kvaerner was used as an example in a 1998 Time Magazine cover story about corporate welfare, in which the authors calculated that each new job at the Philadelphia Naval Shipyard cost $323,000 in subsidies to create. In a 2000 performance audit, democratic State Auditor General Robert Casey found that the location subsidies provided to Kvaerner by the state and other agencies grossly over-subsidized Kvaerner, which made only a relatively modest investment in the facility and bore very little risk. The DRPA’s challenges with economic development projects stem from a simple but important disconnect: Because the bridges generate substantial surpluses, the DRPA has been able to provide financial support in the form of loans, forgivable loans, and grants to projects that did not need to perform economically because their debt was backed by bridge tolls rather than by project income. This presented a two-edge sword, because while it allowed for subsidizing worthy projects and initiatives, it also made it easier for commissioners to allocate money to questionable projects such as the tram and Kvaerner because the funds would be repaid whether or not the project was economically successful. 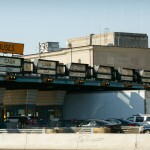 At the policy level, the DRPA’s spending decisions raised a recurring equity question, as the commuters who were required to pay higher and higher tolls and fares saw their money spent on facilities and programs that they might never use or benefit from and that were completely unrelated to the bridges. The lack of adequate due diligence and controls to assure sound economic performance left the door open for poorly vetted pet projects that could and sometimes did embarrass the agency, cause needless distraction, and waste money that could have been spent on more worthwhile endeavors. Infusions of huge amounts of cash every four or eight years, the lack of a connection between project funding and economic performance, and the perception of increased political insulation on the part of commissioners have also led to instances of inside dealing, cronyism, graft, and corruption. A remarkable case was that of DRPA Commissioner and Pennsylvania State Senator Vincent Fumo, who created a $40 million economic development fund fueled by toll revenues and directed at initiatives on the Pennsylvania side of the River. The supposed purpose of the fund was to offset disparities in spending between the two states resulting from cheap fares and tolls that benefited New Jersey. Instead, Fumo and a handful of close associates quietly spent all of the funds in 1999 with little oversight and on projects of direct personal interest to the senator. In 2009, Fumo was convicted in federal court of 137 charges of corruption and sentenced to 55 months in prison for the illicit spending of public funds, including those of the DRPA. By 2013, the DRPA had become a large and mature regional transportation agency successfully serving a densely populated region but the divisions between its constituencies, governance structure, and bi-state jurisdiction promoted conflicting ideas about its purposes. With its future as a port authority out of the question, the DRPA’s dependable stream of toll revenues continued to support the new economic development powers that it was still learning to wield. Together, these unique tensions, powers, and limits continued to influence the operations, investment decisions, and evolution of DRPA nearly one hundred years after its creation. Peter Hendee Brown is an architect, planner, and urban development consultant based in the Twin Cities. He teaches private sector real estate development at the University of Minnesota and is the author of America’s Waterfront Revival: Port Authorities and Urban Redevelopment. Before moving to Minneapolis in 2003, he lived for seventeen years in Philadelphia, where he practiced architecture and worked in Philadelphia city government, serving in the administration of Mayor Edward G. Rendell. Barlett, Donald L. and James B. Steele. “Corporate Welfare.” Time, November 9, 1998. Brown, Peter Hendee. America’s Waterfront Revival: Port Authorities and Urban Redevelopment. Philadelphia: The University of Pennsylvania Press, 2009. Casey, Robert P., Auditor General, Commonwealth of Pennsylvania. Performance Audit of Commonwealth Spending For the Kvaerner-Philadelphia Naval Shipyard Project Through January 14, 2000. Harrisburg, Pa., August 9, 2000. Delaware River Port Authority. Delaware River Port Authority of Pennsylvania and New Jersey; Comprehensive Annual Financial Report for the Year Ended December 31, 2011. 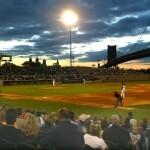 Camden, N.J.: The Delaware River Port Authority, 2012. Benjamin Franklin Bridge, I-676 between Philadelphia and Camden, N.J.
Delaware River Port Authority, 2 Riverside Drive, Camden, N.J.